Monday evening’s Premier League clash sees Norwich looking to win consecutive top-flight games for the first time since 2005. The Canaries were solid in their 2-1 win away at Bolton last weekend, but Paul Lambert and his men should find things harder going against a Sunderland side who come into this game after hammering Stoke City 4-0 last weekend. Norwich head into the game as 5/4 favourites and will be confident of building on their win at Bolton last weekend. The previous five league meetings between these sides have all gone with the home team and Norwich look good to get an important victory. However, Sunderland had a brilliant away record last term and boasted the sixth best overall away record in the league. They’ve been relatively solid on the road so far this term and have picked up draws away to Liverpool and Swansea. 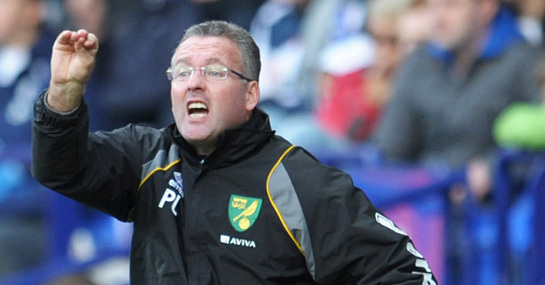 The Black Cats are 2/1 to get their first victory at Carrow Road in the Premier League. The last five league meetings between these sides have seen the home side come through to win 1-0. However, Norwich have only failed to find the net once in their five games this season, while Sunderland hit four in their last outing against Stoke. Meanwhile, Norwich have failed to keep a clean sheet in any of their five Premier League games so backing over 2.5 goals at 10/11 looks well worth a punt.